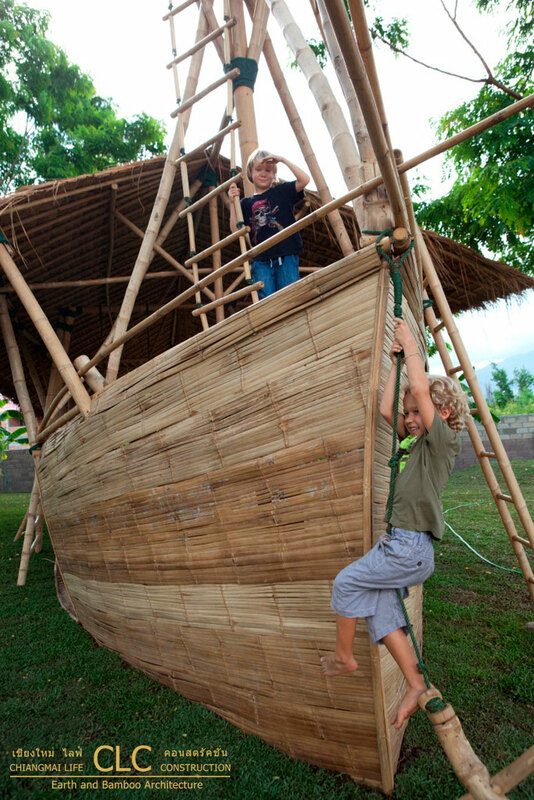 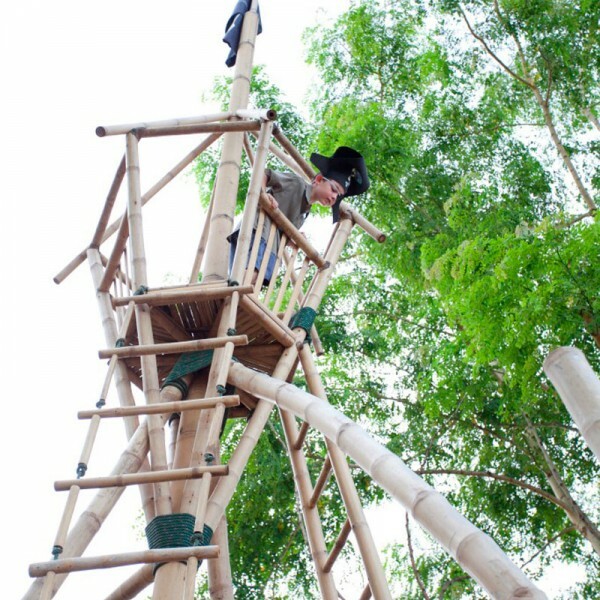 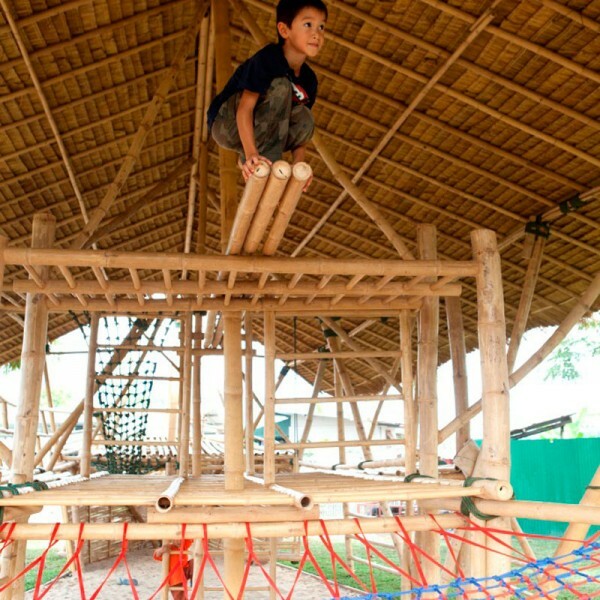 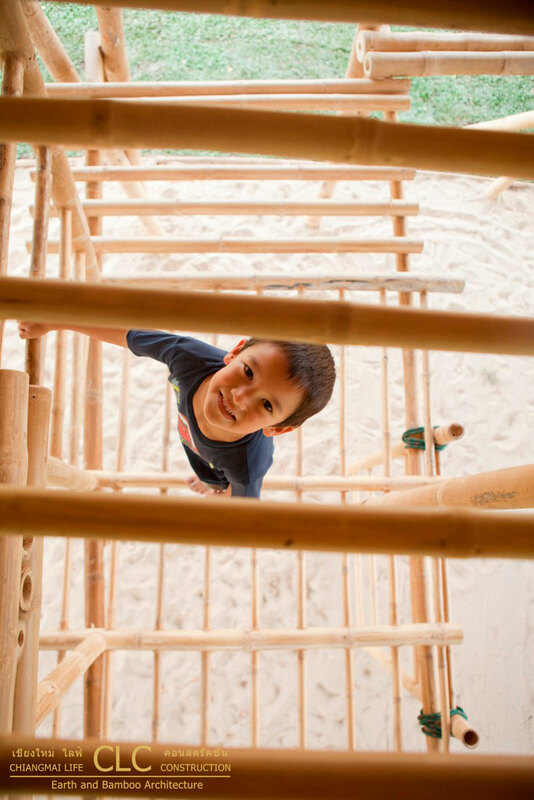 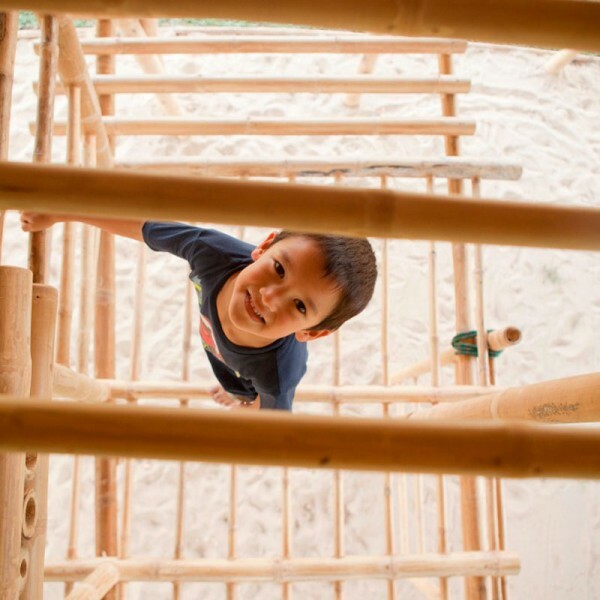 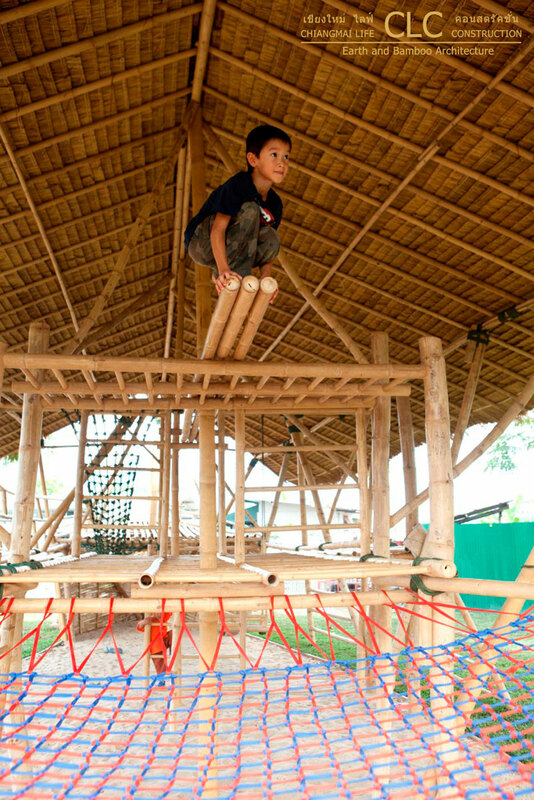 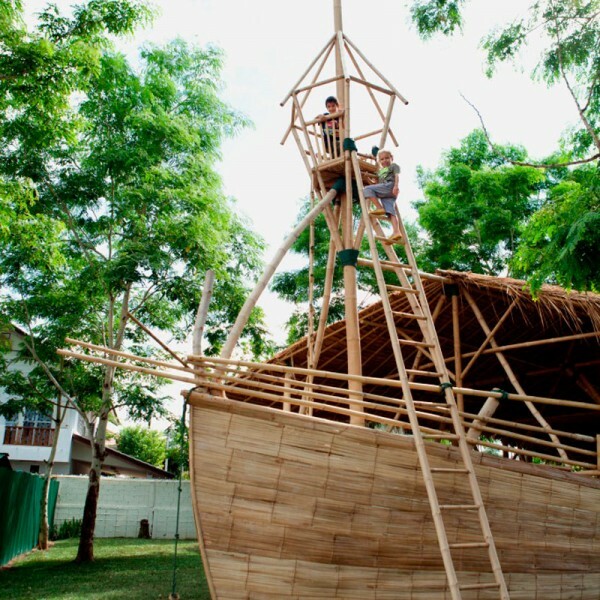 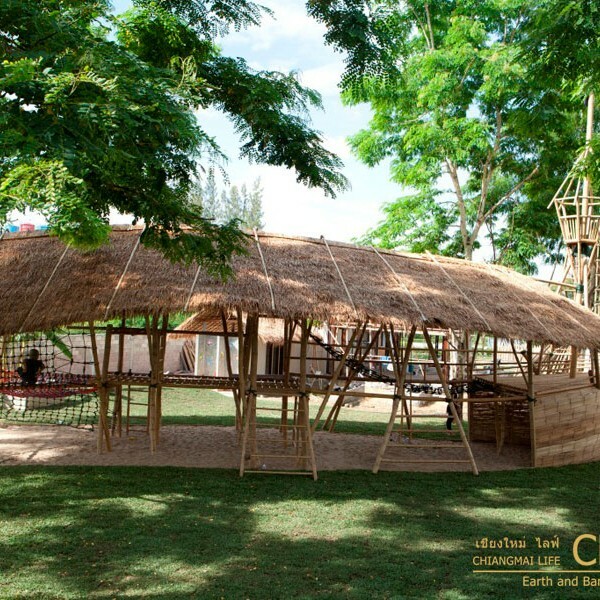 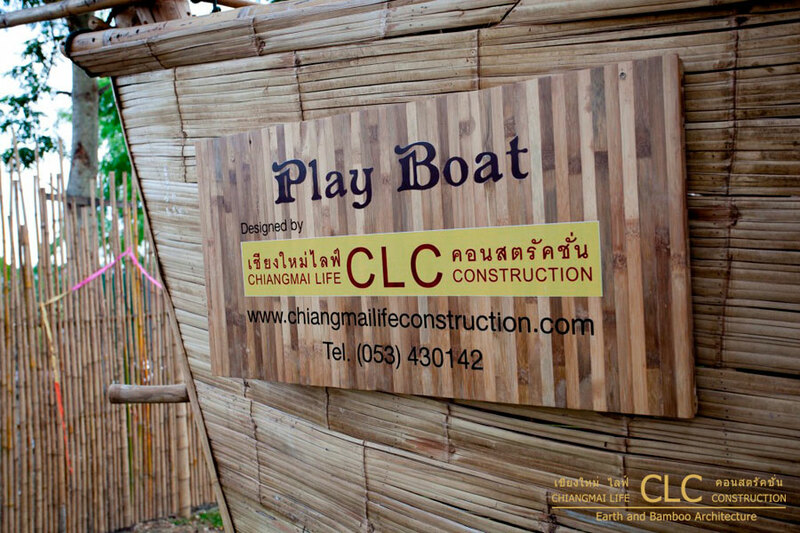 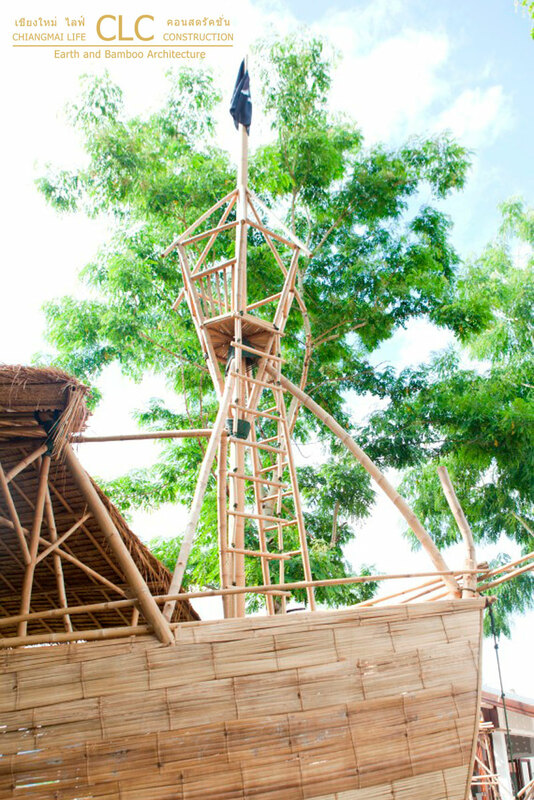 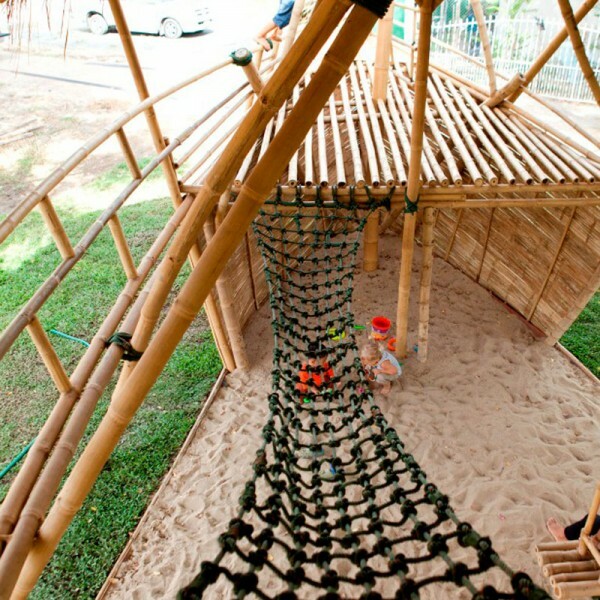 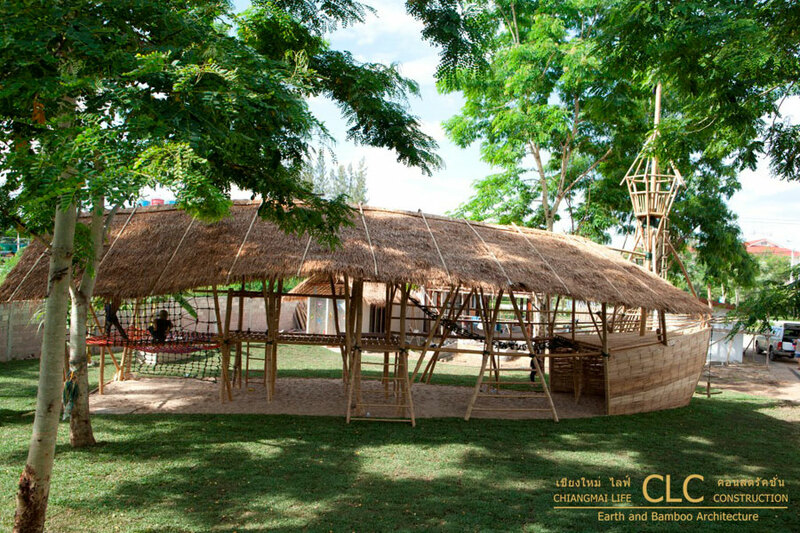 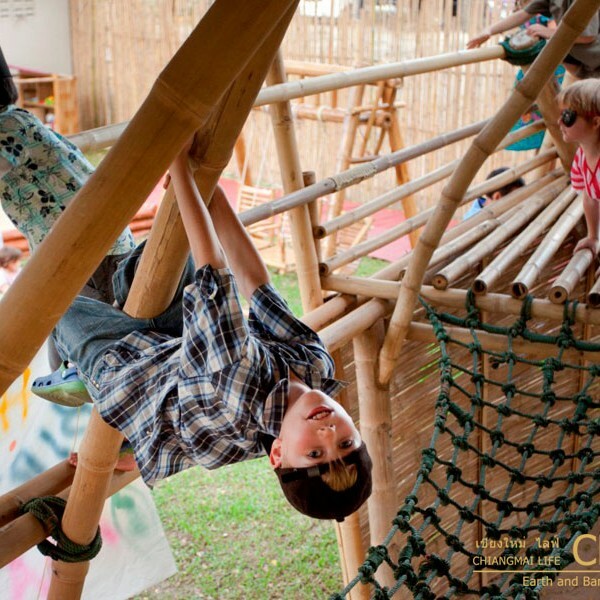 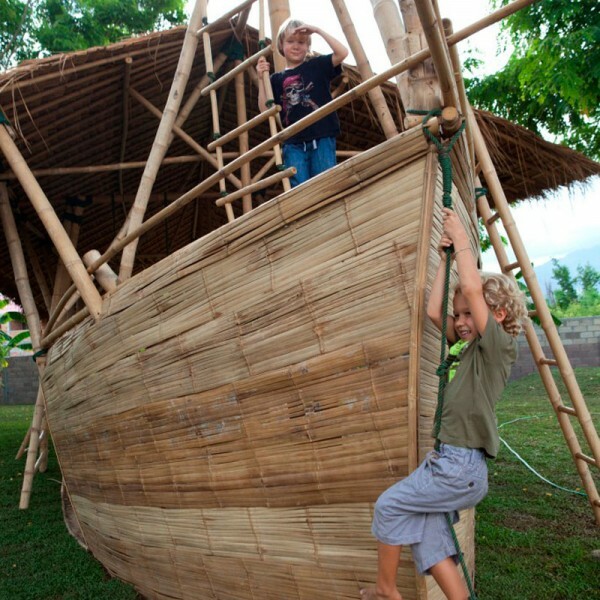 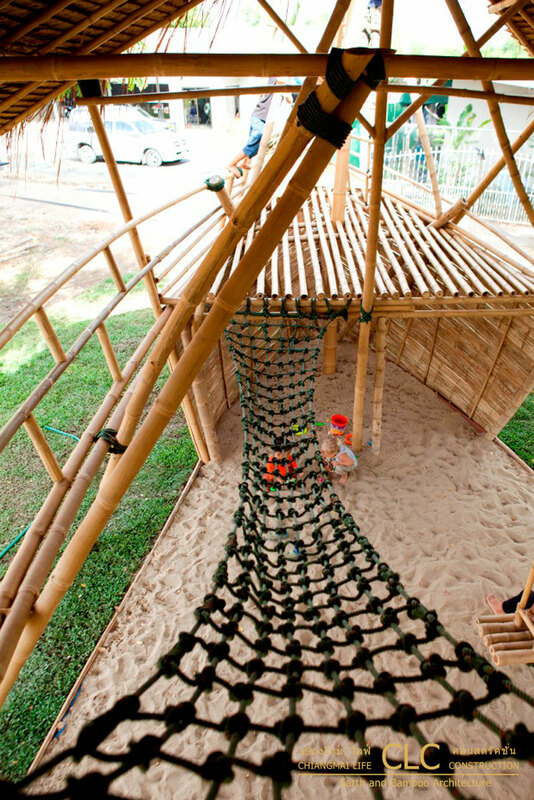 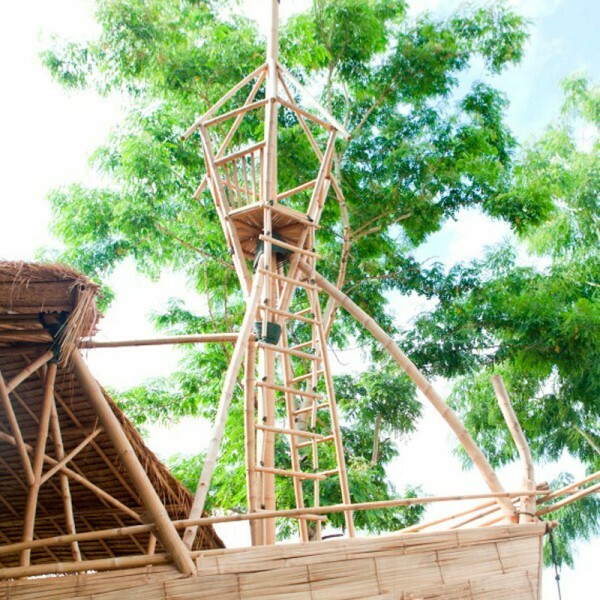 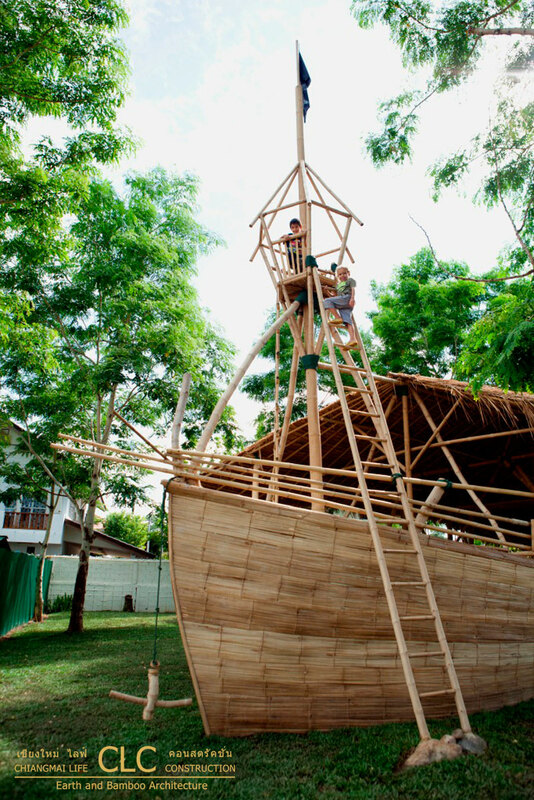 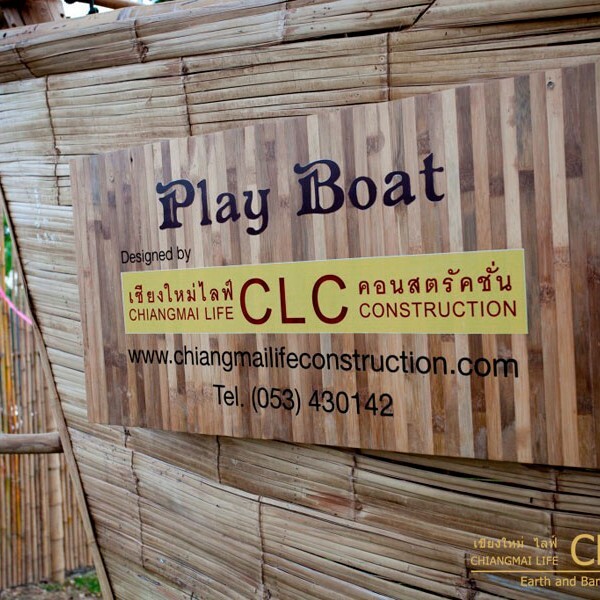 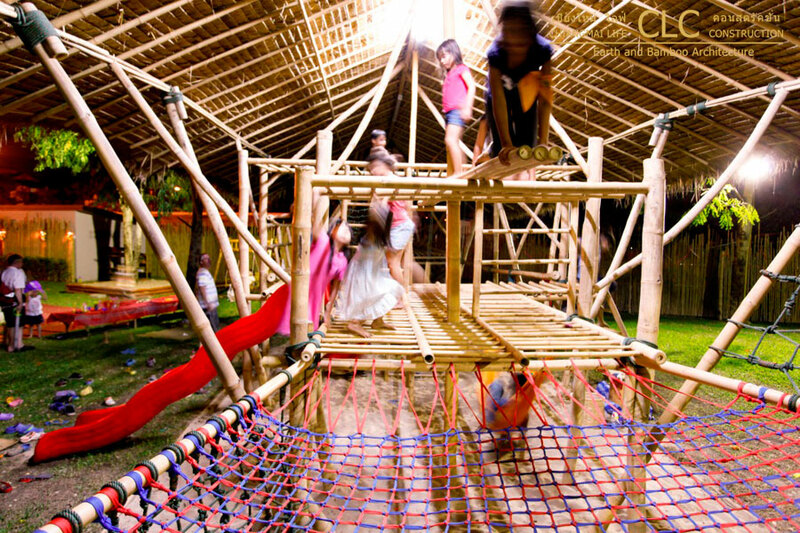 The Playboat is an imaginative children’s playground design with many integrated features made entirely of bamboo. 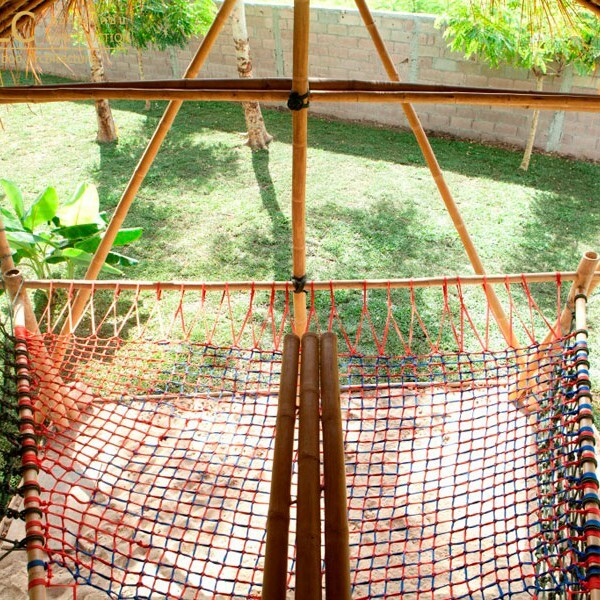 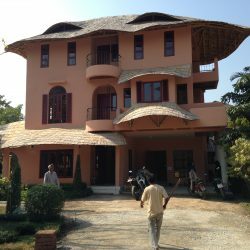 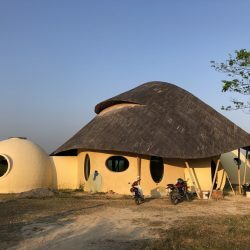 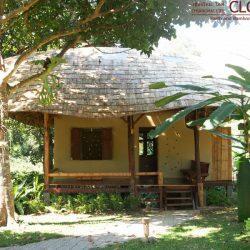 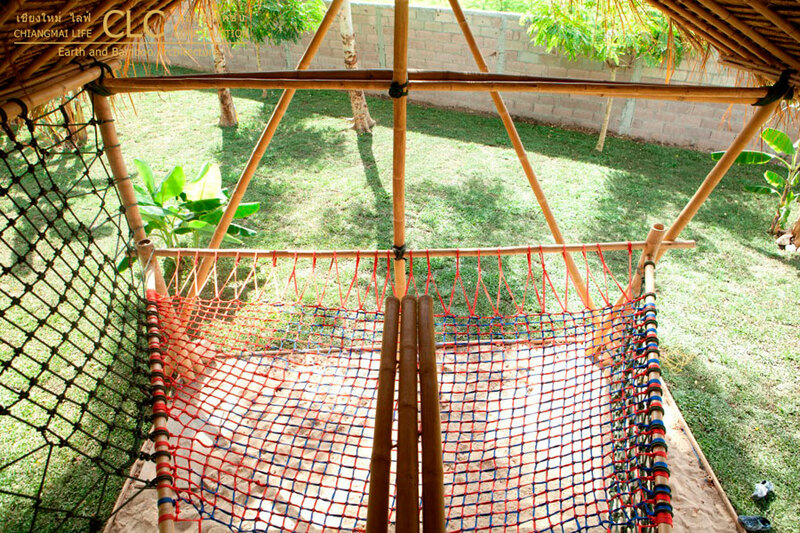 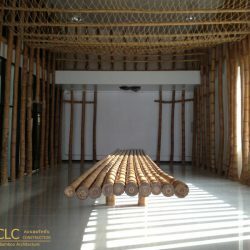 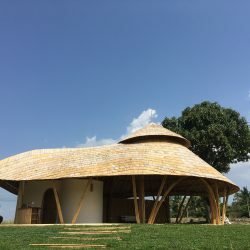 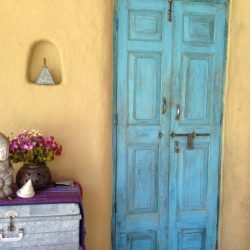 It is covered by a large thatch roof so it can be used during hot as well rainy days. 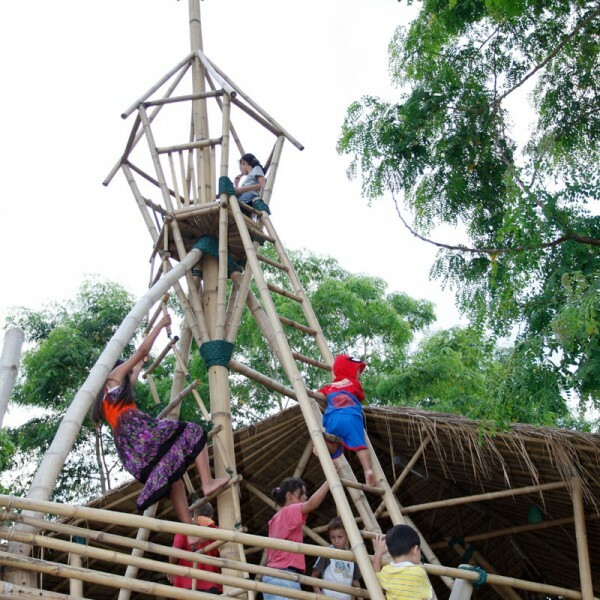 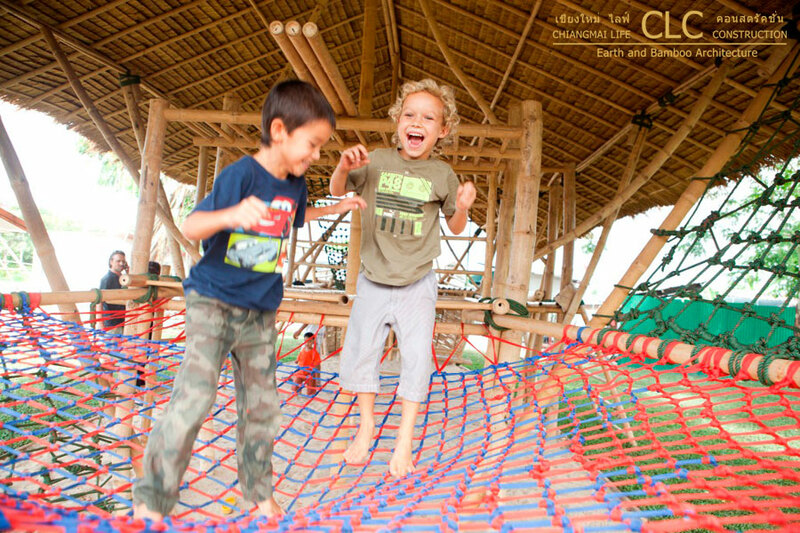 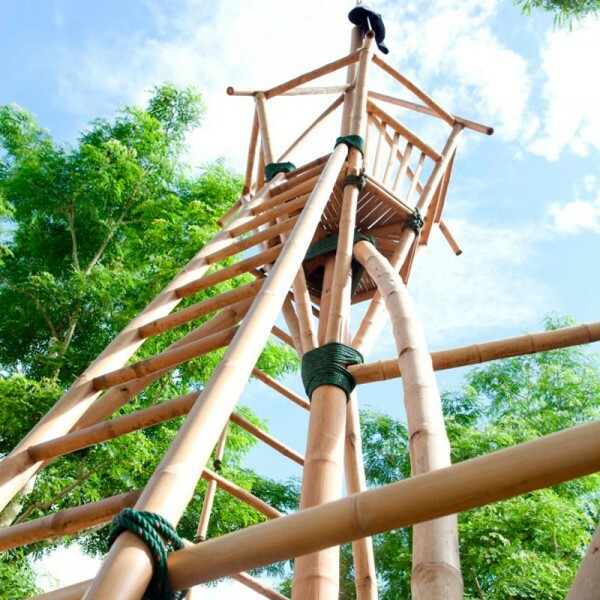 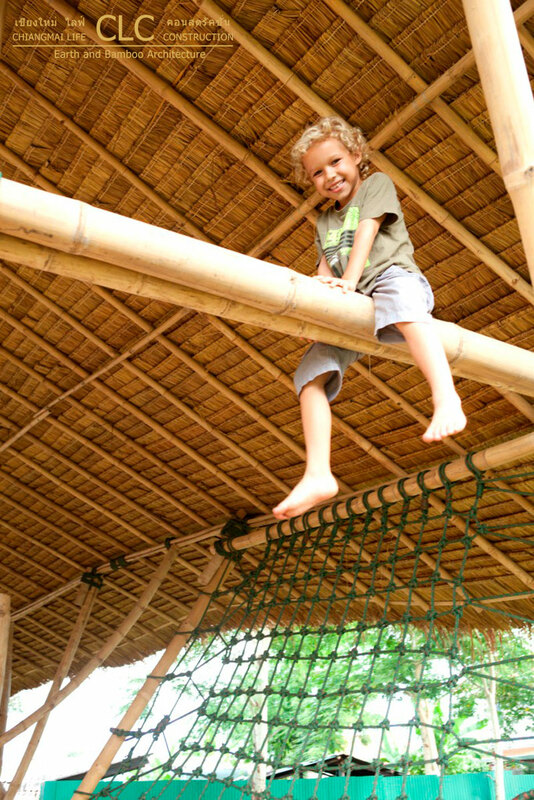 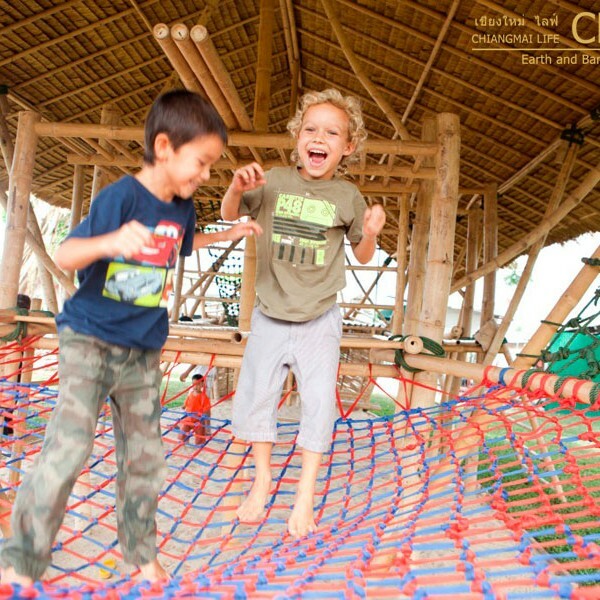 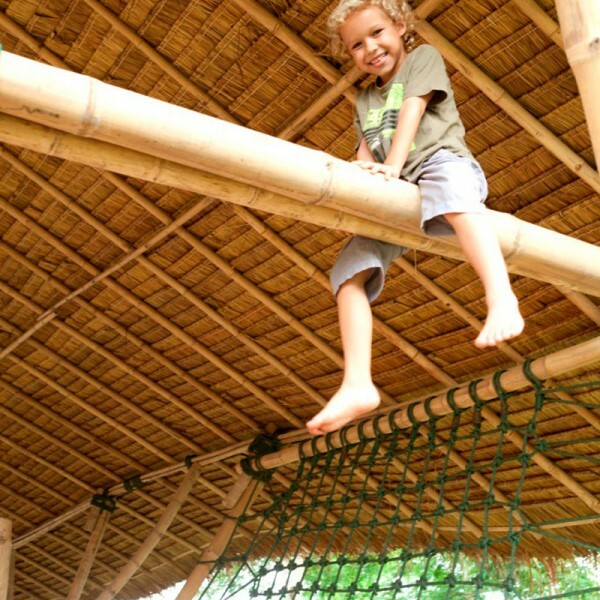 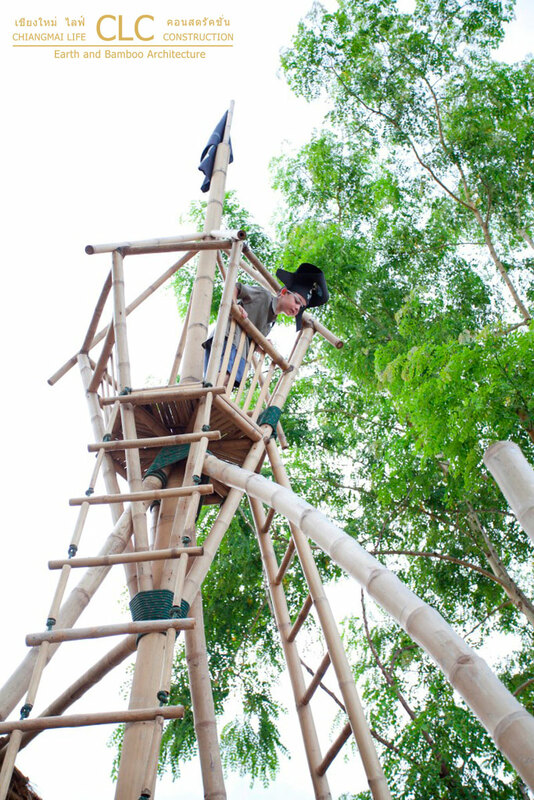 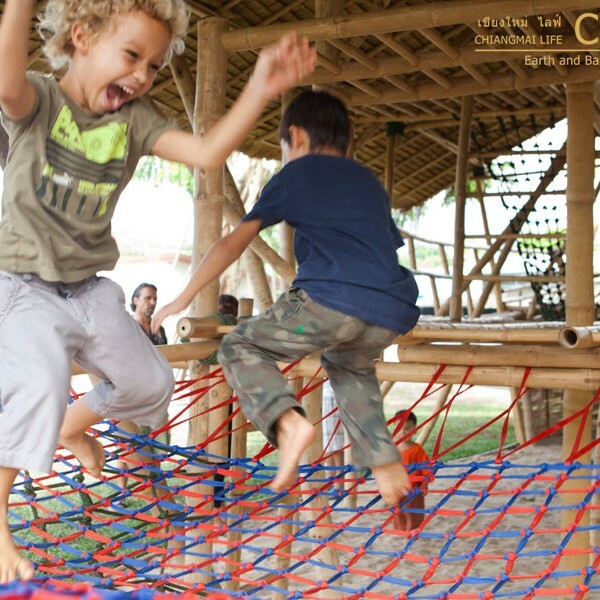 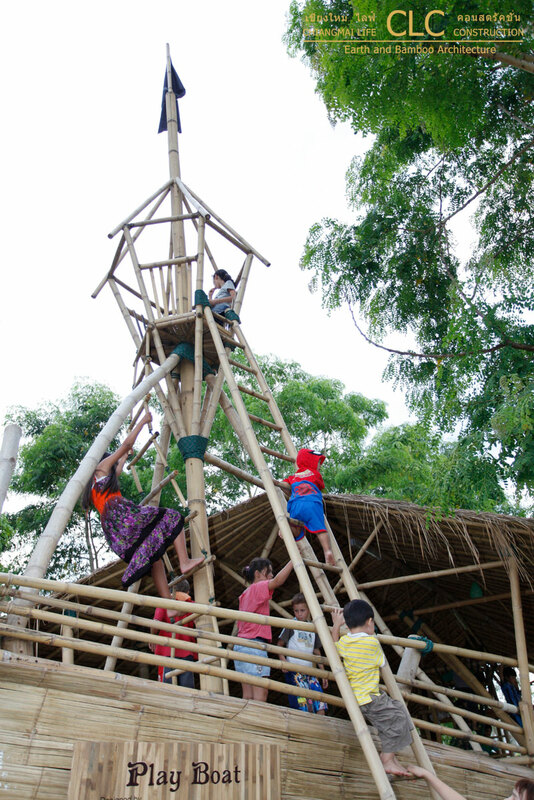 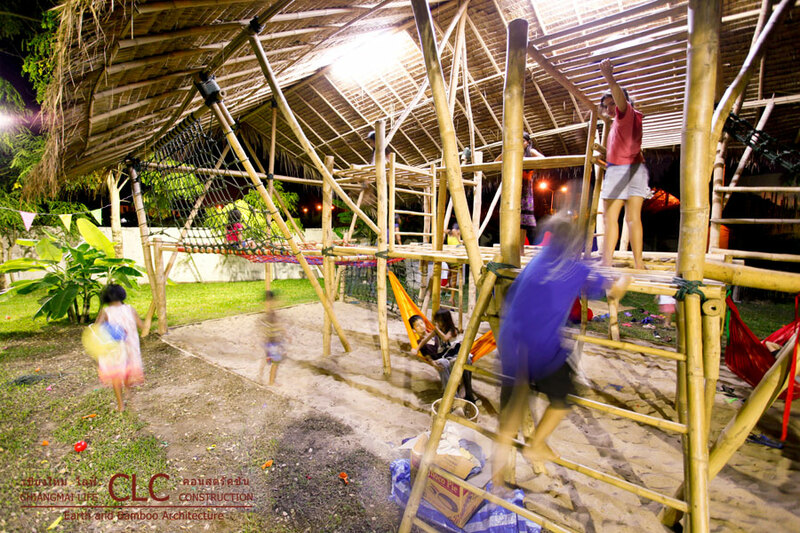 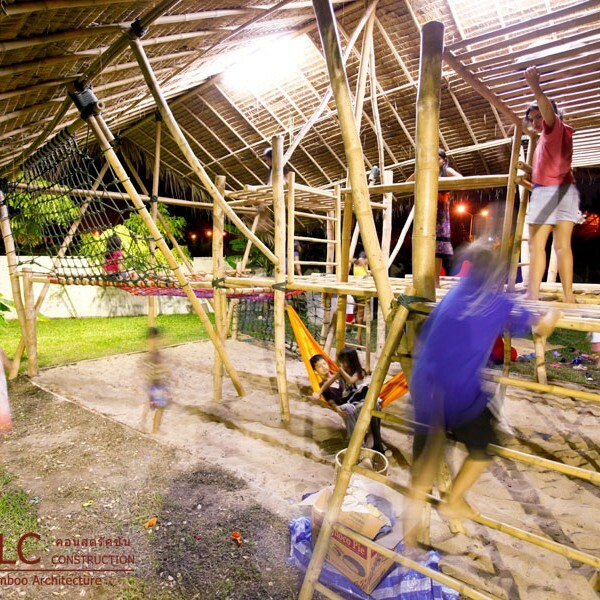 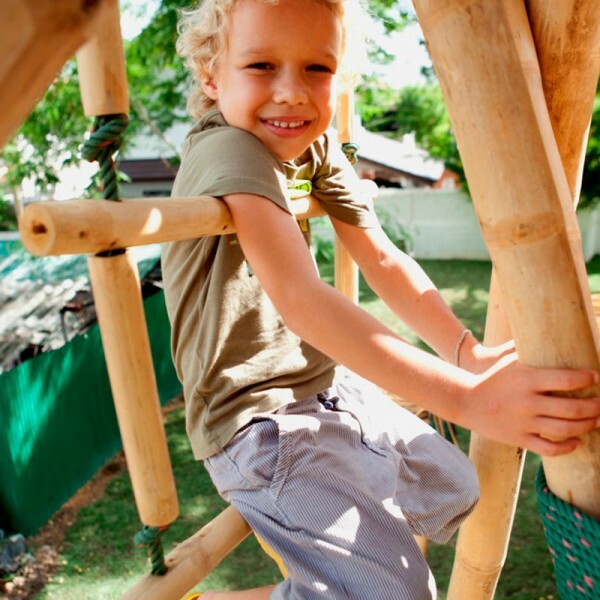 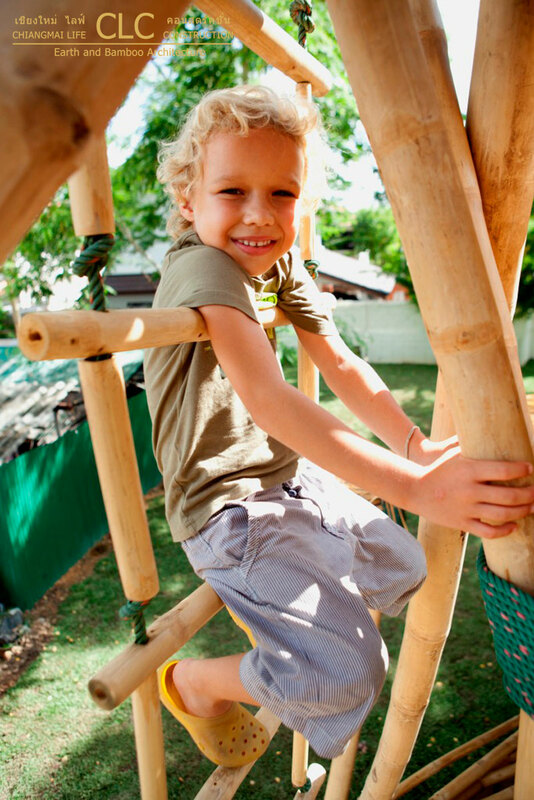 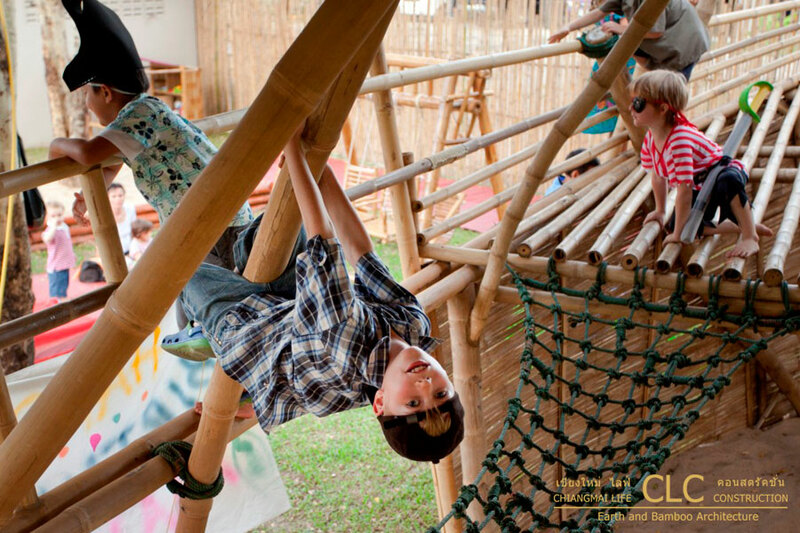 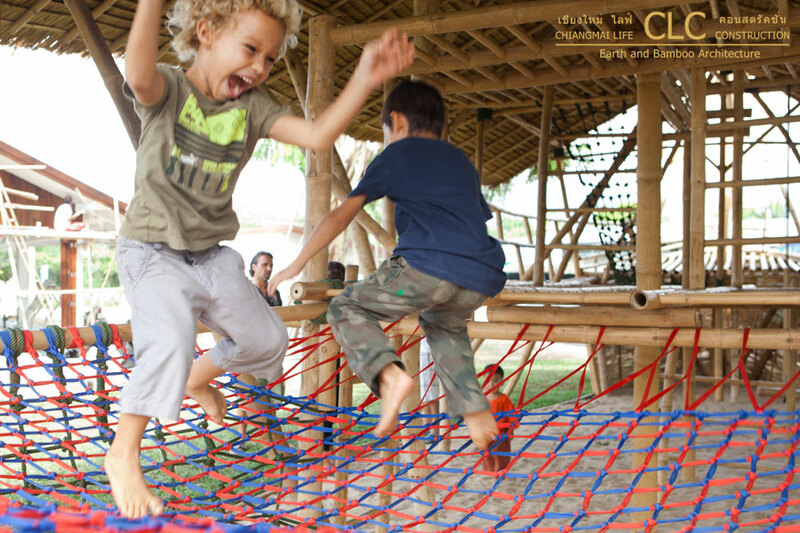 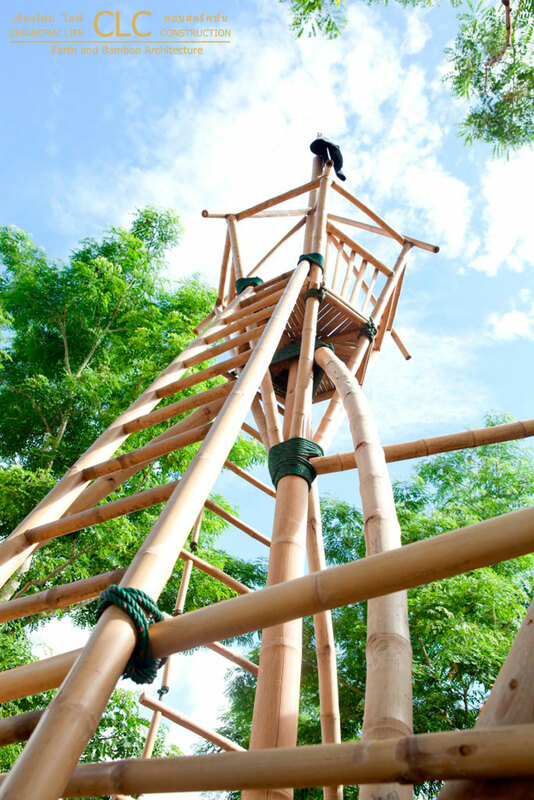 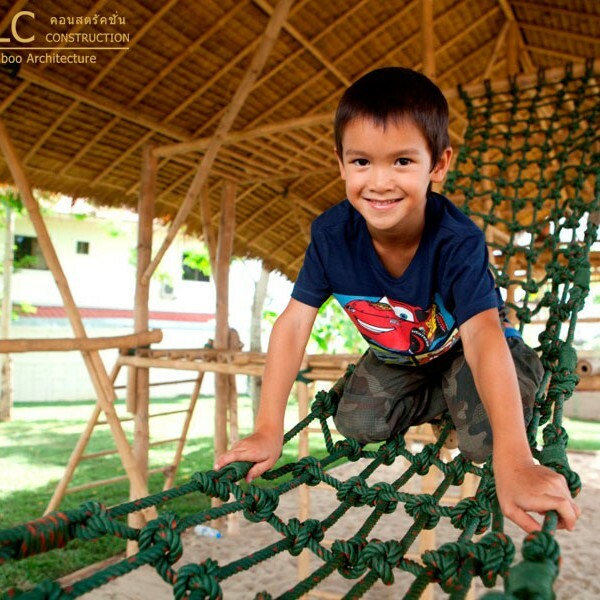 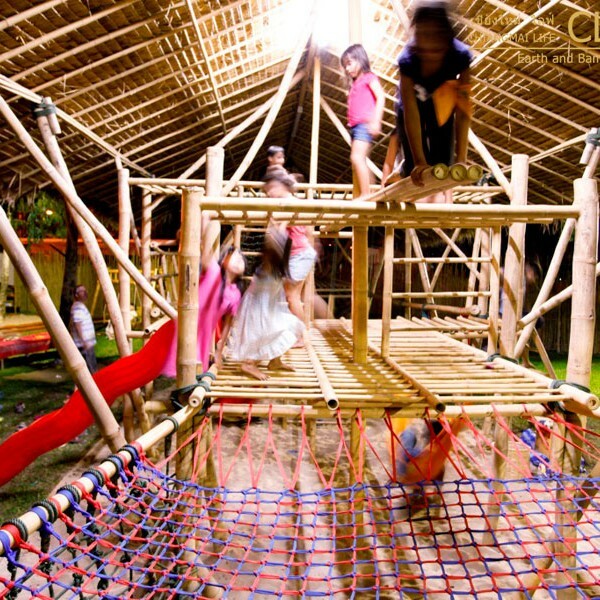 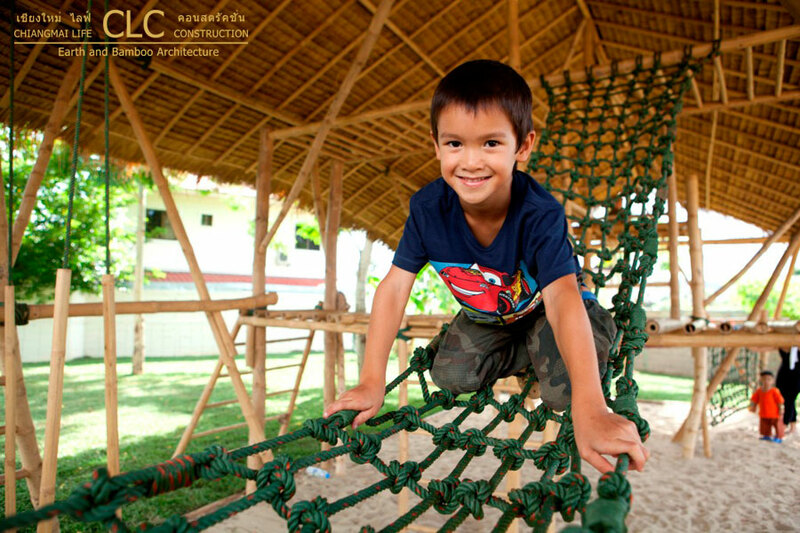 Children learn how to balance themselves, climb on ladders, ropes, monkey walk, there are swings, ropes, a sandy playground, hammock and many other features.